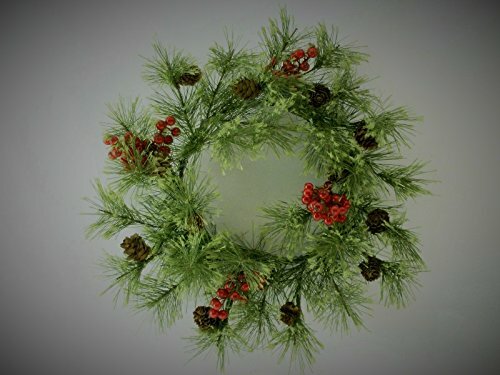 View More In Wreaths, Garlands & Swags - Page 8. Smokey Pine Red Berry candle ring is 7 inches and when fluffed will give you a 12" candle ring. Most hurricanes will fit inside the candle ring.